We wish to serve you to the best of our knowledge and ability. Please explore our site and do contact us with your query. E-ticket – Simply email us at hello (at)unlockdaddy.co.uk or by using the form given below to raise a ticket. You will get a reply from our support team within few hours. Live Chat – During office opening times when online, the live chat widget will appear at the bottom of this website. Post – We operate from a purpose built office / warehouse, 56 Hebrew Road, Burnley, Lancashire, United Kingdom, BB10 1NQ. Please do not call us for user support, questions or inquiries. You will get much faster response by submitting a support ticket using the form below. UnlockDaddy.co.uk is owned and operated by Logicam Technologies UK Limited. We have been in the Phone repairing & unlocking industry since January, 2006, supporting local bricks and mortar business with IMEI based mobile phone unlocking services, before launching this website in late February, 2010. We are, a team of iPhone enthusiasts, here to help all those who are sick of all the scammers on the internet hawking jailbreaks to poor, unsuspecting and fleece able individuals, claiming that their software will unlock an iPhone. We ONLY provide official IMEI based factory unlocks for Android phones and Apple iPhone which are completed in iTunes, that do not void your Apple warranty and enable safe updating of your iOS and the syncing of data in iTunes without fear of ever re-locking. We provide technical support after the sale to help you get your device setup for Mobile Internet, MMS, transferring contacts from your old phone to new etc – all things that you’d normally have to hunt around on the internet for. We ensure that you will get your device unlocked as quickly and smoothly as possible – all things that you’d expect from any reputable on-line organisation. IF YOU ARE LOOKING TO OFFICIALLY AND PERMANENTLY UNLOCK YOUR PHONE, WE ARE THE PEOPLE TO TALK TO!!! 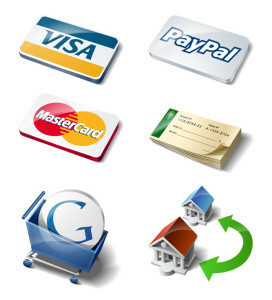 Pay via PayPal; It is the most preferred way to pay on-line because it’s safer and faster. Pay by Local bank transfer. This facility is currently available only to customers from UK, UAE and Pakistan. Need more help? Just fill out the form below using ’email us’ button and we will get back to you within few hours with the required information. When an order has been successfully completed, customers will receive confirmation email containing instructions on how to complete the unlocking process. After receipt of payment, orders are usually submitted for processing within 24 hours (Monday to Friday). The network the handset is currently locked to will dictate both the cost and time it takes to process an order. We provide an approximate processing time for order completion. The quoted processing times are a guide only, based upon the average time it has taken to process orders in the past. As the process involves the use of third parties, we can offer no guarantees on processing times. Orders are sometimes completed with in a few hours, but on occasions the process exceeds the approximate time frame quoted. We have no control over these processing times, the unlocking process is controlled by the networks, and is why we only quote an approximate time frame for order completion. We will endeavour to beat the delivery times stated but sometimes delays do occur. In the event of a significant delay, there is no automatic right to cancellation. If a customer contacts us to request a cancellation based upon a significant delay, we will see if our supplier is willing to cancel the order, but offer no guarantee. The information you enter on the order form must be correct. Right carrier info MUST be used and submitted under the right service. There will be ABSOLUTELY NO refund for wrong carrier submitted or IMEI submitted under wrong service. The phone must not be IMEI blacklisted/blocked (restricted from use on any network). In case, if a blacklisted IMEI is submitted under a clean unlock service, £2 will be deducted from refund. The phone must have been activated at some point (the IMEI must be registered in Apple’s database). Activation lock has been disabled on the phone (‘Find My iPhone’ has been switched off). The phone must not have been subject to previous jailbreak or unlock attempts. The phone must not be a replacement, given in exchange for a lost or damaged handset. You must not attempt to unlock your phone via an alternative method after placing an order with us. Refunds can take around 7 days to appear in a customers account depending on their bank, financial institution or credit card company. For more information on refunds, please read Terms & Conditions. Unlocking a mobile phone is 100% legal in the UK, however different laws may apply elsewhere in the world. It is the customers responsibility to ensure they comply with all local laws when requesting an unlocking service from this website. 1.1. Each product and price on this website is considered an offer to purchase a service. The service offered by UnlockDaddy.co.uk includes sourcing and supplying a code and detailed instructions to unlock a cellular device. This service begins after payment is received from you. 1.2. All our services include customer support via telephone and email during regular office hours. *Our service may not be used to unlock handsets commercially in order to retail for profit. While unlocking cellular phones is illegal some countries, it is your responsibility to verify the laws of your country before placing an order with us. All cellular devices do not work on all networks. Therefore, you are responsible for checking the compatibility of the cellular device with the network that you intend to use. Alterations to a cellular device may cause damage or invalidate a manufacturer’s warranty. You are responsible for checking the device’s warranty. UnlockDaddy is not liable for damage caused to your cellular device or for denial of warranty caused by using our Services. The services offered on this website are intended for use by the owner of the cellular device that is indicated by the IMEI (International Mobile Equipment Identity) number at the time the order is placed. Cellular devices that have been reported lost or stolen are considered “Barred” or “Blacklisted” and are not usable even after unlocking. It is the Buyer’s responsibility to ensure that they are the legal owner of the device. We are not liable for service that does not work properly on cellular devices that are reported lost or stolen and we reserve the right to refuse service to any Buyer if suspicious activity is suspected. a) The information you enter on the order form must be 100% correct. b) Correct service is ordered for the device to be unlocked and that the device is compatible with the service selected. c) The phone must have been activated at some point (the IMEI must be registered in Apple’s database). d) Activation Lock has been disabled on the phone (Find My iPhone has been switched off). e) The target cellular device has not been unlocked previously. f) The target cellular device has not been altered, changed or tampered with in any way. g) The IMEI number of the target cellular device has never been altered, changed or tampered with in any way. h) The phone must not have been subject to previous jailbreak or unlock attempts. i) The phone must not be a replacement, given in exchange for a lost or damaged handset. j) The phone must not be IMEI blacklisted/blocked (restricted from use on any network). k) You must not attempt to unlock your phone via an alternative method after placing an order with us. l) All refund claims must be submitted within 1 month of order placement. 3.2. When a problem is reported with an unlock, we will see if an alternative is available. We may require further information from you at that point. Our aim is to assist you in unlocking your phone, and only if that is not possible will we proceed to a refund. The refund claim procedure is outlined below. 4.1. If no unlock is found for a particular handset, a refund will be processed within 48 hours of us becoming aware that none is available (*All criteria outlined in 3.1. above must have been adhered to). Refunds can take around 7 days to appear in a customers account depending on their bank, financial institution or credit card company. 4.2. Where an unlock does not work and we confirm by email that we are not able to find an alternative solution, UnlockDaddy reserves the right to require additional evidence to verify the claim that the unlock procedure did not unlock your device.. This is to show that the information on the order form was correct, and that the unlock process did not work. In some situations the video may still enable us to help a customer unlock their phone. You may be required to provide us with a video recording showing the device in question, along with the IMEI number on the sticker of the device and the IMEI number displayed on the device screen. Additionally, the video must show you inserting an alternate SIM card in the device and the screen that appears with the alternate SIM card. Due to the nature of our product, these extreme measures are the only way that we can verify the validity of your claim. 4.3. Please ensure the correct service is ordered for the device to be unlocked and that the device is compatible with the service selected. 4.4. It is the customer’s responsibility to ensure the details provided at the point of order are accurate. We cannot be held responsible for customer error and are unable to issue refunds under such circumstances. 4.5. It is not possible to determine if a ‘SIM Locked’ or ‘SP Locked’ handset has been ‘Blacklisted’ from any particular network prior to performing the ‘unlock’ procedure. If we undertake an unlock and subsequently discover the iPhone is logged as lost, stolen or abused, we cannot be held responsible and are unable to issue refunds under such circumstances. 4.6. We offer an IMEI checking service. If it is suspected an iPhone may be blacklisted, it is strongly recommended that this service is utilized prior to placing an order to verify the handsets status. 5.1. When an order has been successfully completed, customers will receive email notification containing instructions on how to complete the unlocking process. 5.2. After receipt of payment, orders are usually submitted for processing within 24 hours (Monday to Friday). The network the handset is currently locked to will dictate both the cost and time it takes to process an order. We provide an approximate processing time for order completion. The quoted processing times are a guide only, based upon the average time it has taken to process orders in the past. As the process involves the use of third parties, we can offer no guarantees on processing times. 5.3. We will endeavour to beat the delivery times stated but sometimes delays do occur. In the event of a significant delay, there is no automatic right to cancellation. If a customer contacts us to request a cancellation based upon a significant delay, we will see if our supplier is willing to cancel the order, but offer no guarantee. 5.4. In general, order cancelations are not permitted once a payment has been made. The service provision commences as soon as payment is made. The service offered is personalized, based on the unique details of a specific handset and therefore cannot be transferred or utilized by a third party. 6.1. Any attempts to obtain our services by fraudulent means will not be tolerated. We report all such fraudulent activities to the relevant authorities and credit reference agencies. 6.2. To combat internet fraud we log the IP address of a customer at the point of order. We cross reference this IP address location with that of the registered account holder of the credit/debit card used to make payment. Any discrepancies will result in the cancelation of the order. 6.3. We work closely with financial institutions, ISP’s and a variety of global debt recovery agents worldwide, to protect ourselves and our customers from exposure to fraudulent activity. 6.4. In cases we can prove attempts to defraud our company, we will take legal action to recover our losses and any additional expenses incurred through the recovery process. 6.5. In cases of fraudulent charge backs, the associated handset IMEI number will be identified and relocked and/or blocked. *Cellular activity can be monitored via a mobile or cellular phones unique IMEI number, which may also be used to trace the handsets whereabouts by law enforcement agencies in the event of criminal activity, including, but not limited to, fraud. 7.1. If a handset is reported lost, stolen or abused, it will be ‘Blacklisted’ on Apple’s servers (also known as ‘Blocked’ or ‘Barred’), preventing it’s use on any GSM network, nationally. We will undertake the job you request but cannot legally make a ‘blacklisted’ handset work again. 8.1. Where permitted by law, UnlockDaddy is not liable for any loss or damage caused as a result of the services provided, or the use of our website. Otherwise, our liability is limited to the amount paid for the provision of the service in question. 9.1. All third party brands & logos are the registered trademarks of their respected owners. This website is not affiliated or parts any of the network operators or handset manufacturers detailed on our websites. ALL PURCHASES ARE SUBJECT TO THE ABOVE TERMS & CONDITIONS AND ARE IN FULL ACCORDANCE WITH UK CONSUMER LAW. Do you own a mobile sale service/repair shop or in a part-time sales job? Or you are thinking to start a business to earn a few extra bucks? Are you reliable, trustworthy, and discreet (as we are), then we would love to hear from you. We have a brilliant idea for you to work with us with ‘zero £’ investment; Join hands with us: you get the customers, we will do the unlocks, we will offer you special discounted unlock rates so that you may also earn a handsome amount per unlock. Simply fill out below contact form with your personal details, we will get back to you ASAP. Do you work, or do you know someone who works, in the unlocking department within a network, or has access to IMEI whitelisting for iPhones? We are always looking to bring new networks online. Are you looking to earn extra money? We require iPhone unlocks for all networks worldwide. Please note that we are not interested in hearing from middle men. You must have direct access to unlock these units and be able to unlock in an hour or less. Simply fill out below form or email hello (at) unlockdaddy.co.uk with what network(s) you can unlock to get the ball rolling.